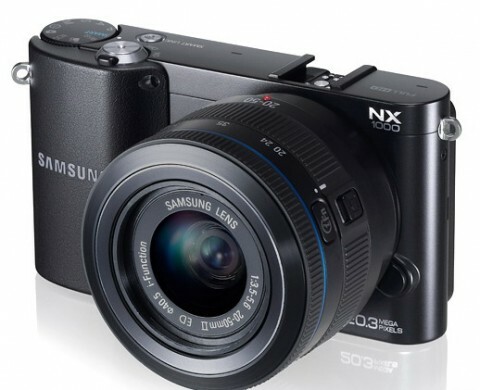 The new Samsung NX1000 Smart camera is an all-new entry-level NX model from Samsung. 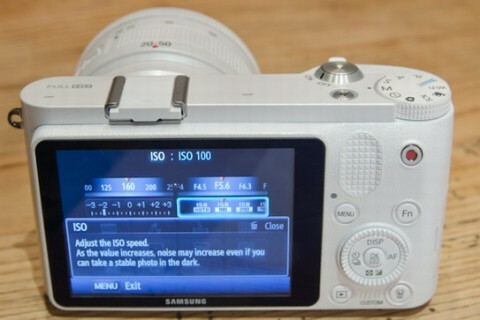 Samsung says that the new NX1000 is the lightest CSC (Compact System Camera) from new NX series. The Samsung NX1000 is a mirrorless and Wi-Fi compact digital camera and it is a more affordable alternative to a DSLR camera, ideal for beginners and occasional photographers. 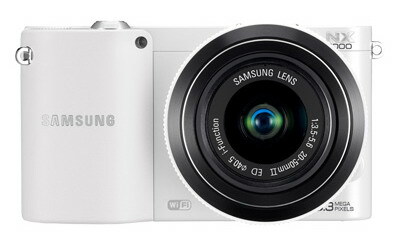 The Samsung NX1000 has a high-resolution APS-C image sensor and can capture images at 20.3 Megapixels. 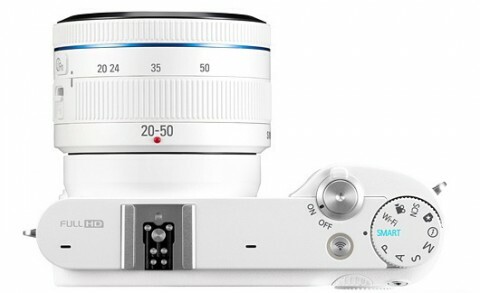 The NX1000 comes with a versatile 20-50 mm interchangeable zoom lens and external flash. 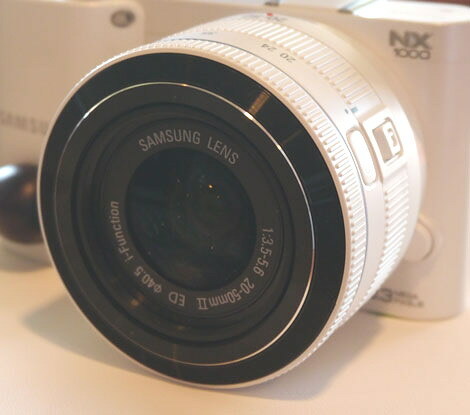 The Samsung NX100 features a 3.0-inch LCD display and it is capable of recording full HD 1920 x 1080 video at 30p. The NX1000 has Wi-Fi connectivity that makes it possible to save photos and videos directly to a computer or upload them to Facebook or YouTube. The Samsung NX1000 can create 3D images without special lens and has left and right microphones, integrated into the top of the camera, for stereo audio capture. A speaker is also mounted on top of the camera. 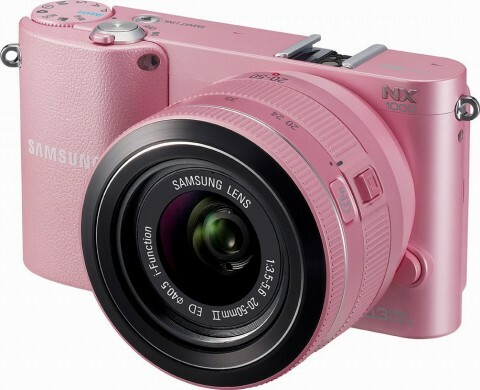 The Samsung NX 1000 has a plastic body and it is available in white, black or pink. 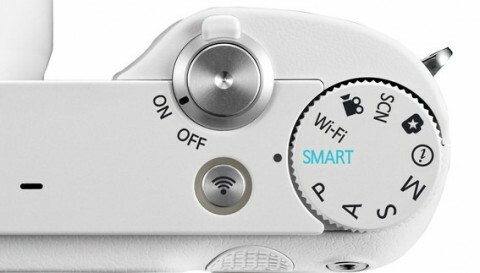 The Samsung NX1000, like other new tech products of the company, is called a “Smart” device. This means it is equipped with a number of new, wireless features that supposedly bring the camera to the next step of user interface. You can find more about usability, handling and menu of this CSC camera on Samsung NX1000 review from digitalcamerainfo.com website. The Samsung NX1000 offers a fully Automatic mode, a good range of individual Scene Modes and the full suite of Smart digital filters and effects. More technical detail you can read on Samsung NX1000 review from trustedreviews.com. A short NX1000 review comes from pocket-lint.com website. Here you can find briefly, details about the most important features of this camera.